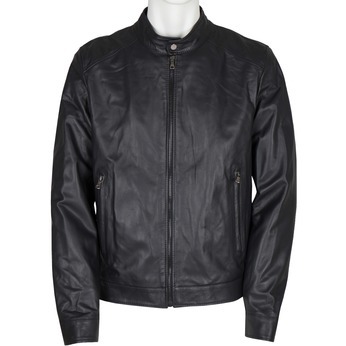 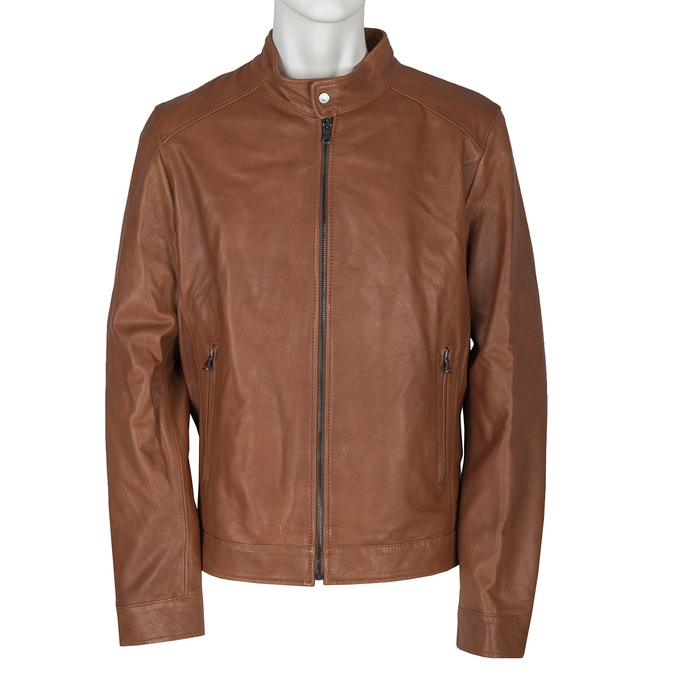 This high-quality men’s leather jacket has a simple cut with a zip closure, and captures attention at first sight with its brown colour. 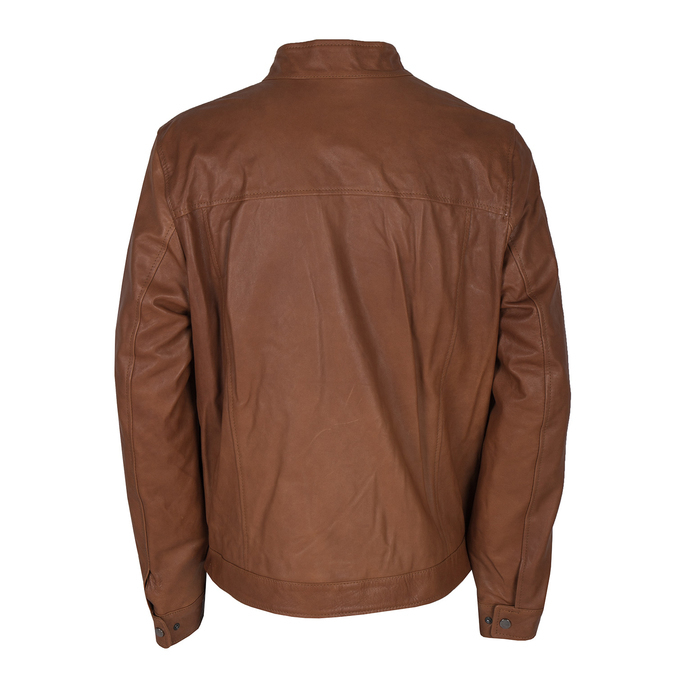 The cut is accentuated by a standing collar with a metal snap closure, two front zip pockets, and simple stitching. 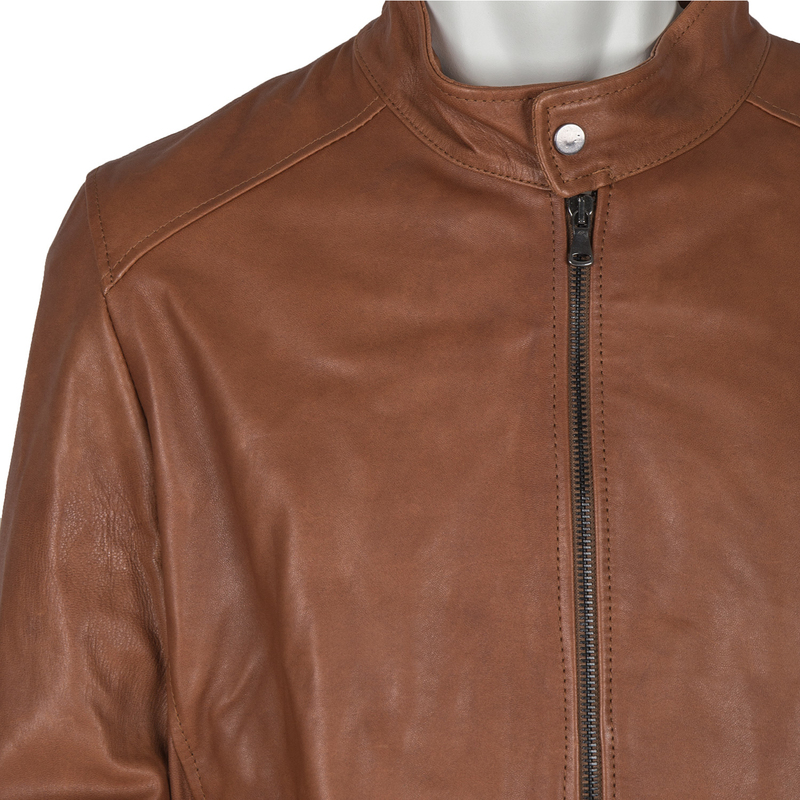 Wear this jacket to add the finishing touch to your urban look and complement with a crossbody bag.